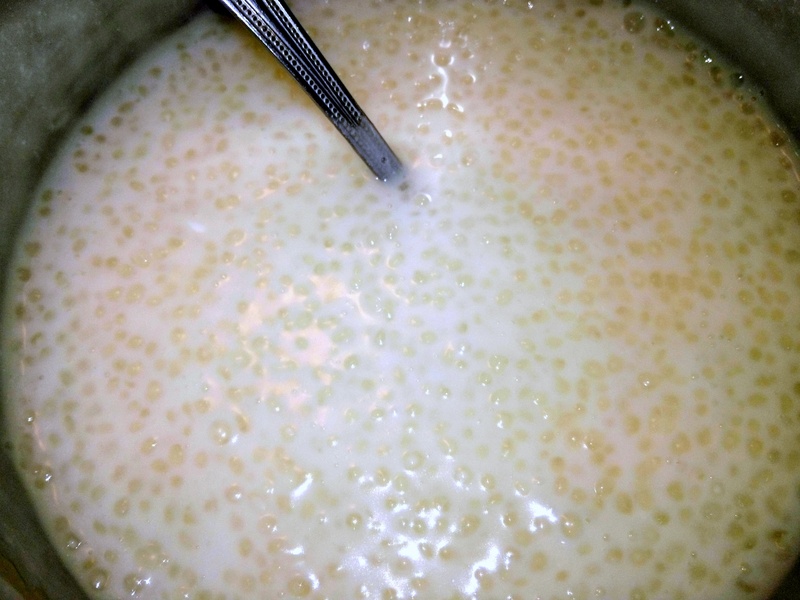 Place tapioca in a bowl along with the water, cover, and let the pearl soak at room temperature for 1 hour (if needed). Drain water from tapioca. Heat the coconut milk, pearl tapioca, salt and vanilla bean (split and scraped) to a slow simmer in a heavy pot and cook for 25 minutes or more until the tapioca is completely translucent, stirring frequently. Turn heat off. 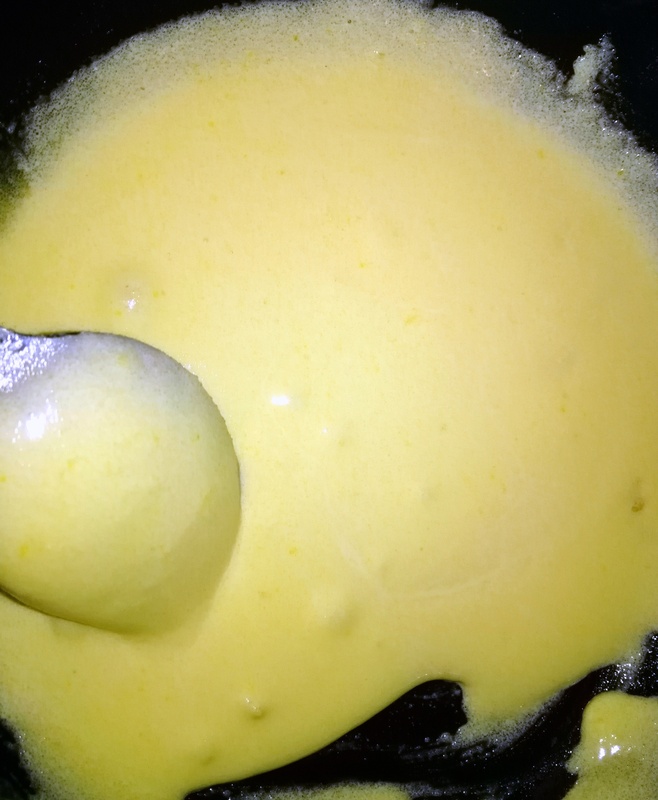 Meanwhile in a bowl, whisk together the egg yolks and sugar. Temper small amounts of the tapioca into the egg mixture until you have added at least 1 cup. Then turn the low heat on, add mixture back into the remaining tapioca.Bring the pudding to a gentle simmer over medium-low heat, cook for an additional 5- 10 minutes until the mixture thickens, stirring constantly. Place the half of the pudding in a bowl and cover the surface with plastic wrap. To the second half of the pudding add 1 tablespoon of cacao, then mix well and cook 2-3 minutes more. Place the chocolate pudding in another bowl too and cover the surface with plastic wrap. 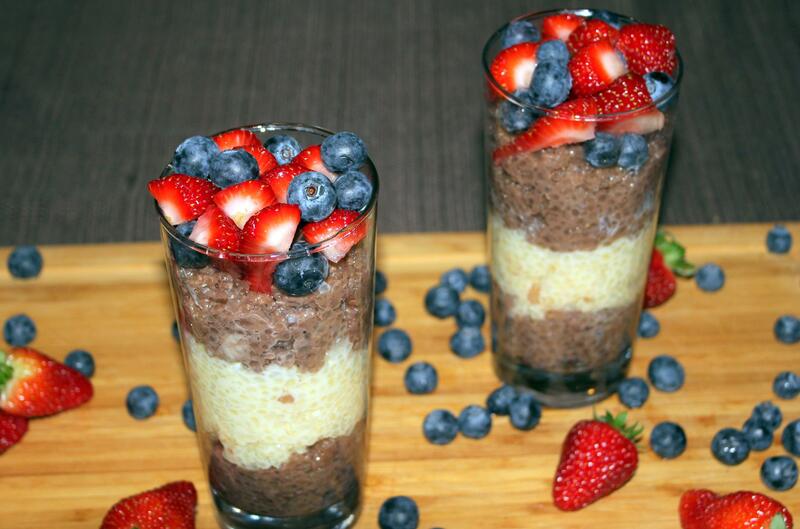 (If you want to create a marble effect, add chocolate tapioca pudding into the same bowl and cover). Allow to cool at room temperature for 1 hour and then place in the refrigerator until thoroughly chilled. 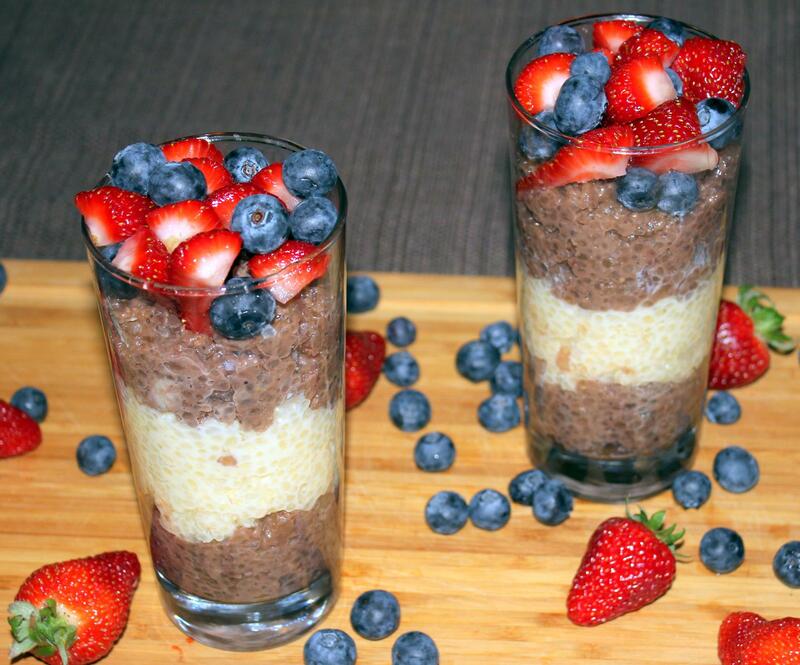 Serve in a jar or tall glass layer of the chocolate tapioca pudding, then layer of the vanilla tapioca pudding and again chocolate tapioca pudding. 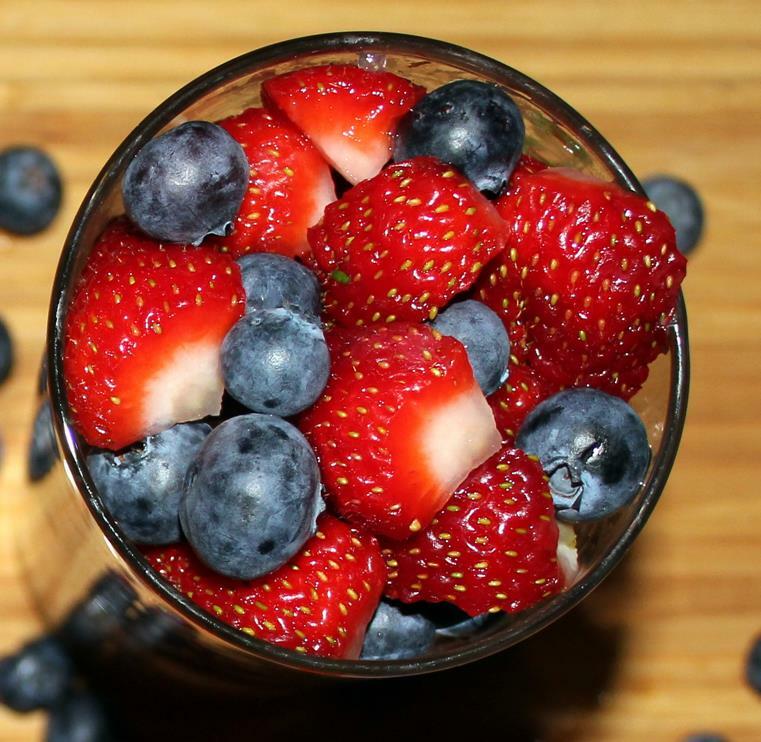 Garnish with diced strawberry and blueberry. 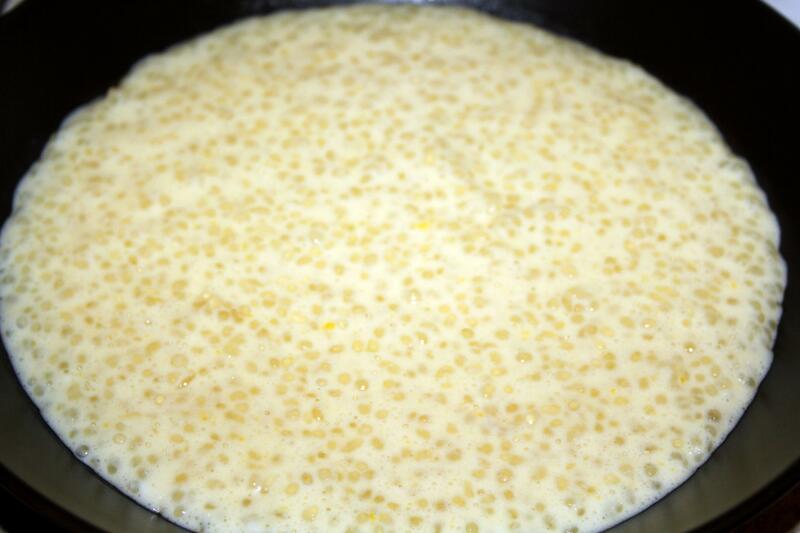 Place tapioca in a bowl along with the water, cover, and let the pearl soak at room temperature for 1 hour. 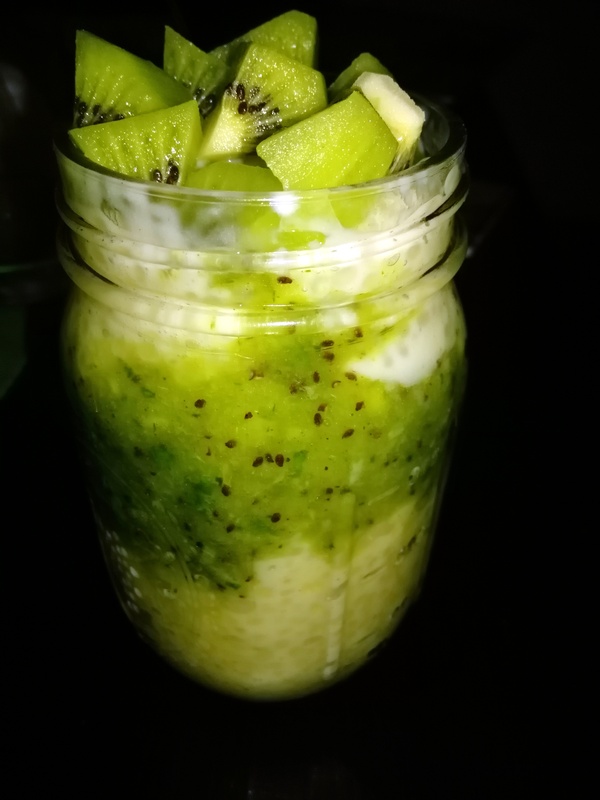 Drain water from tapioca. 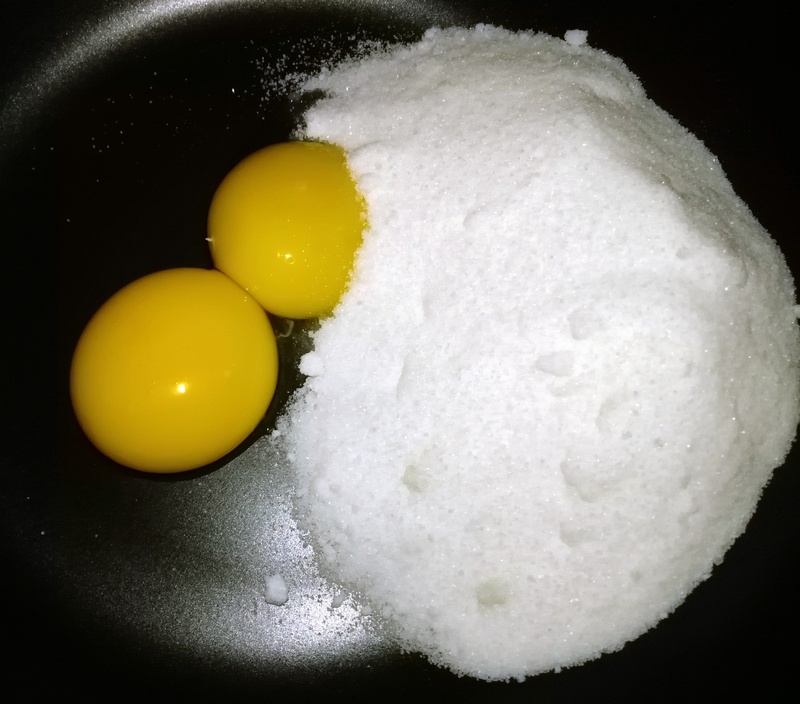 Meanwhile in a bowl, whisk together the egg yolks and sugar. 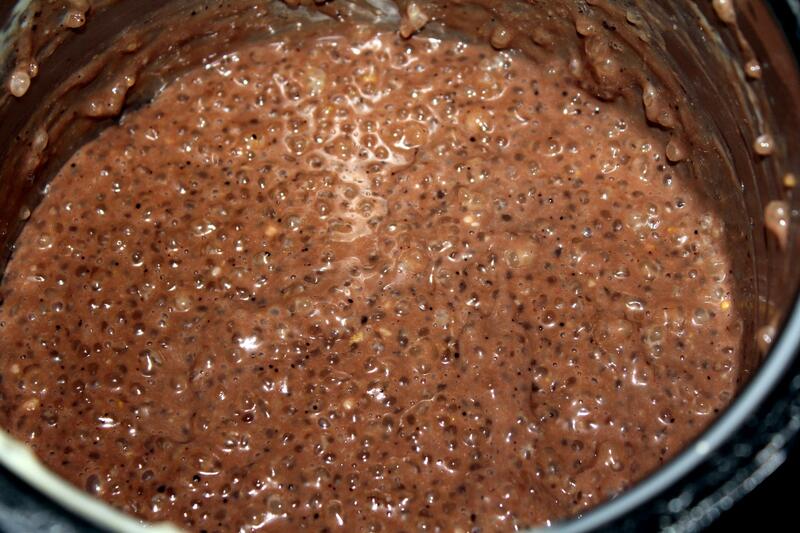 Temper small amounts of the tapioca into the egg mixture until you have added at least 1 cup. 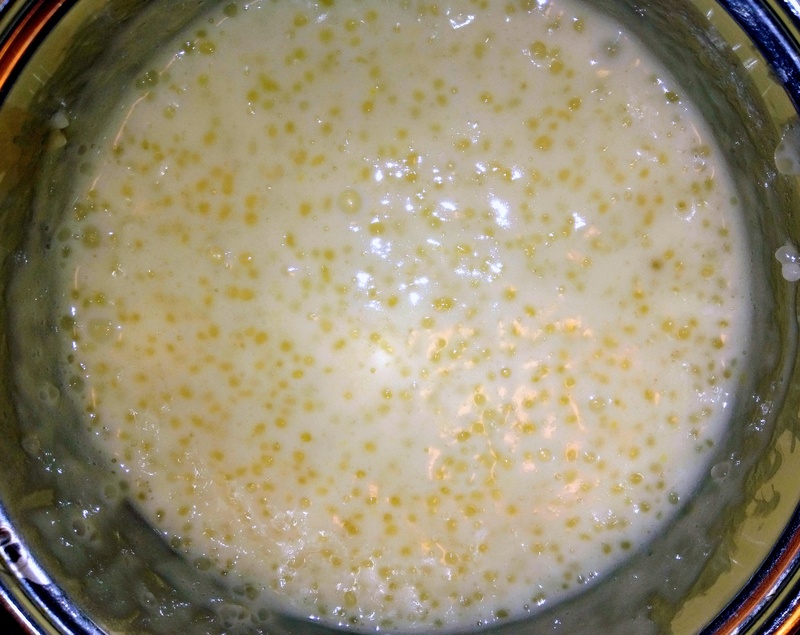 Then turn low heat on, add mixture back into the remaining tapioca.Bring the pudding to a gentle simmer over medium-low heat, cook for an additional 5- 10 minutes until the mixture thickens, stirring constantly. Place the pudding in a bowl and cover the surface with plastic wrap. Allow to cool at room temperature for 1 hour and then place in the refrigerator until thoroughly chilled. 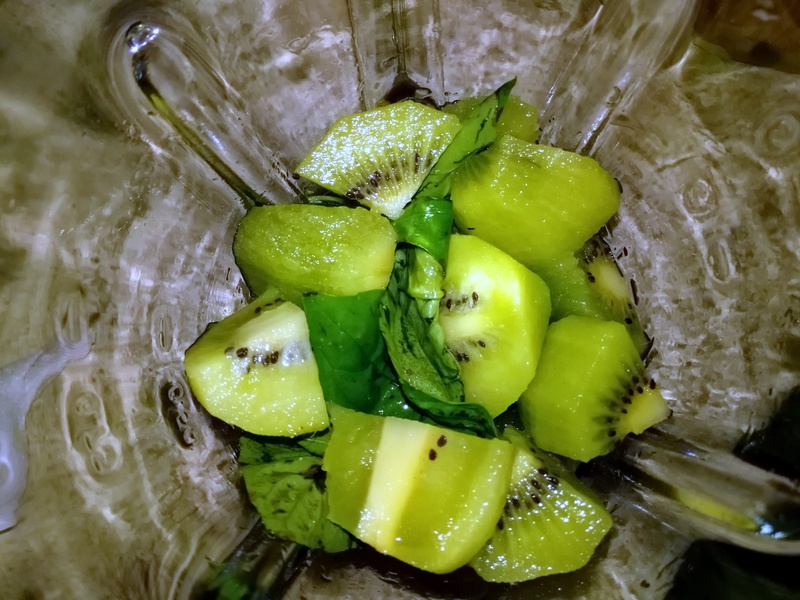 Before serving, in a blander mix very quickly (chunky pieces are fine) 4 kiwis and basil leaves. Leave for 10 minutes in the freezer. 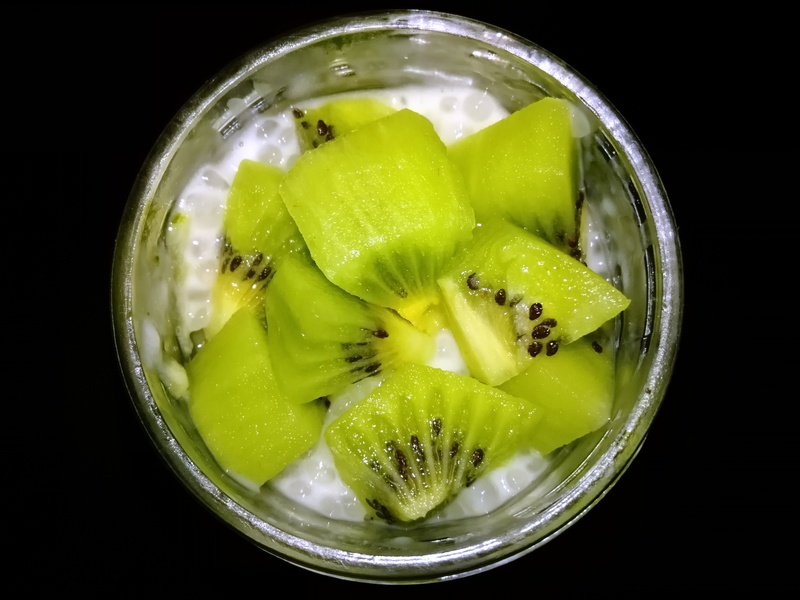 Serve in a jar or tall glass layer of tapioca pudding, then kiwi mousse and again tapioca pudding. 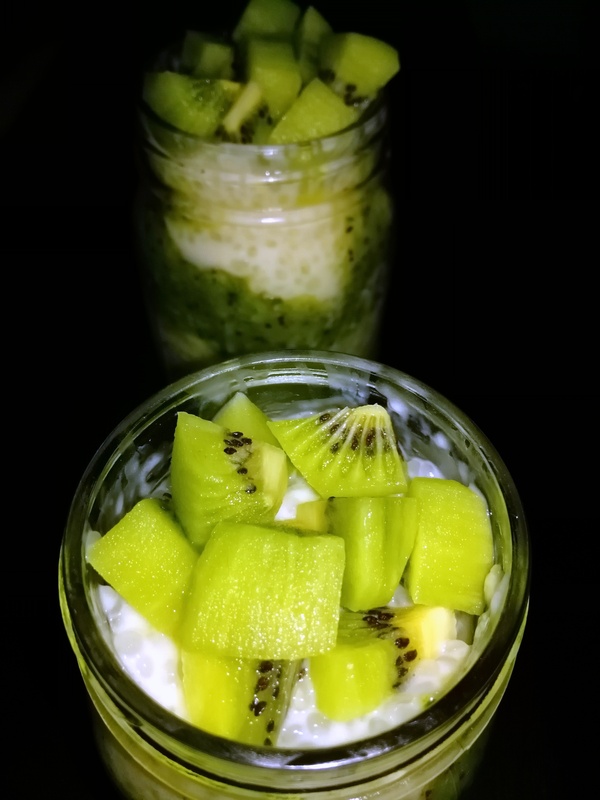 Garnish with diced kiwi.